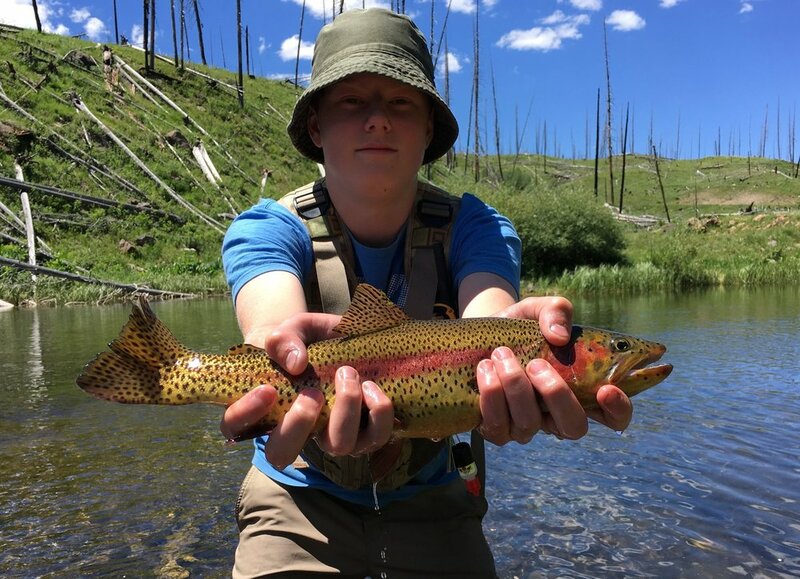 Home of the Colorado Cutthroat! 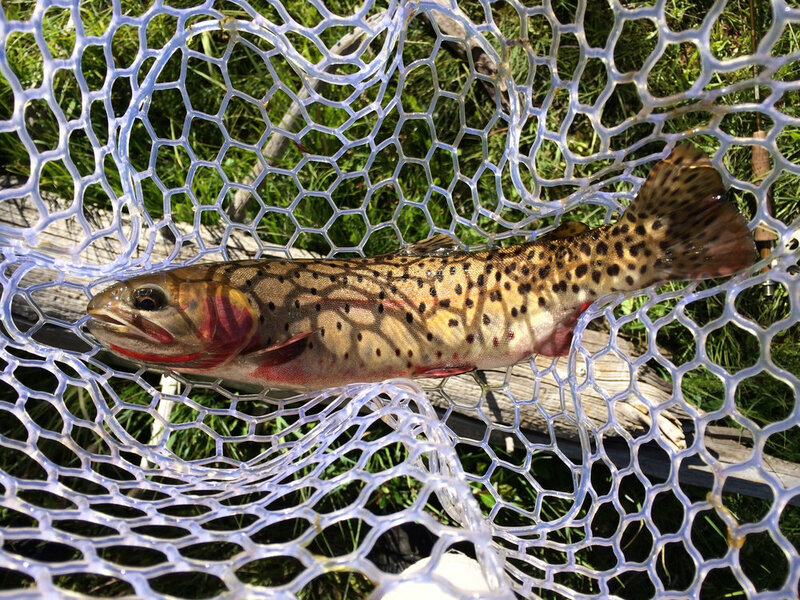 World class trout fishing! 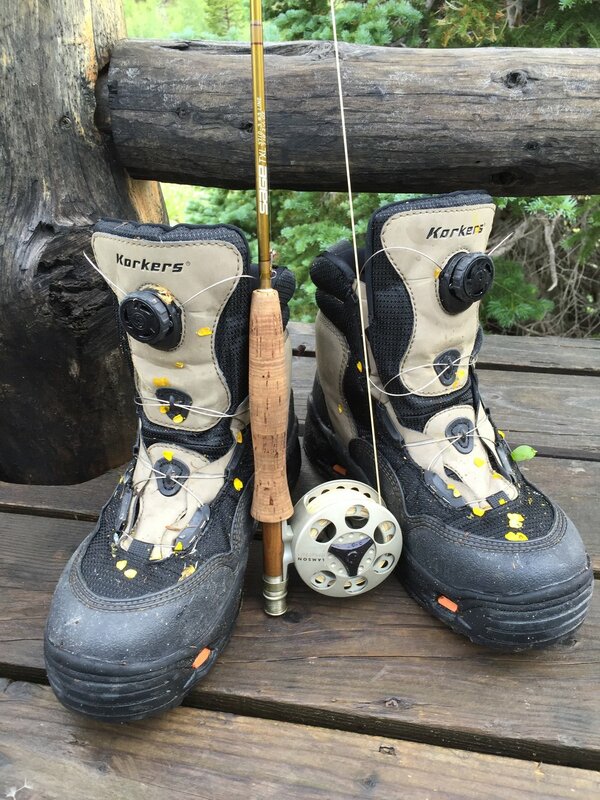 Come fish for a day at Trappers Lake or at one of the many Alpine Lakes. 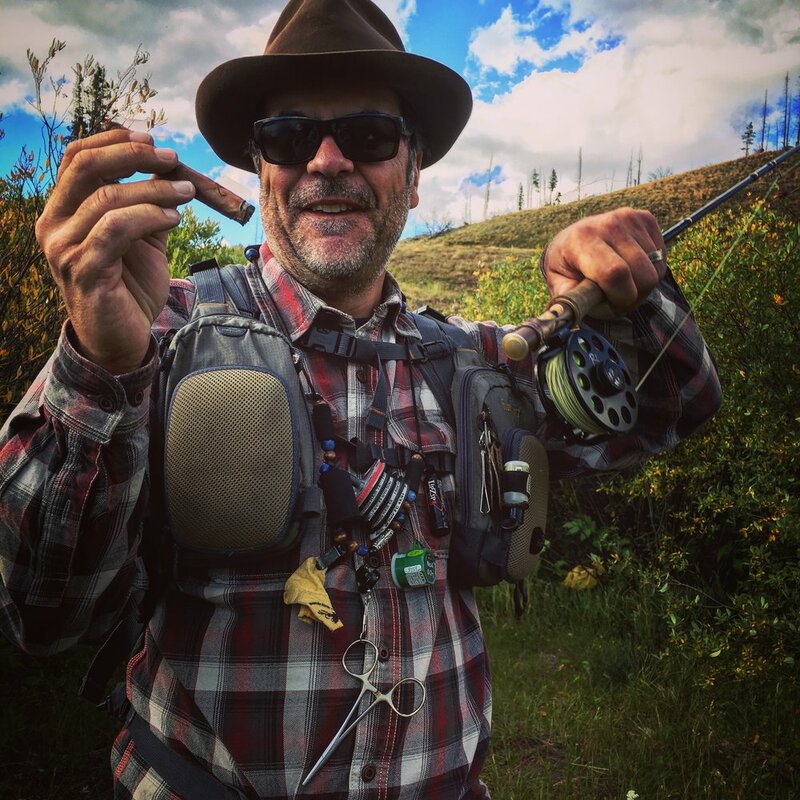 Want to fish longer and enjoy the wilderness? Select from one of our wilderness fishing retreats. 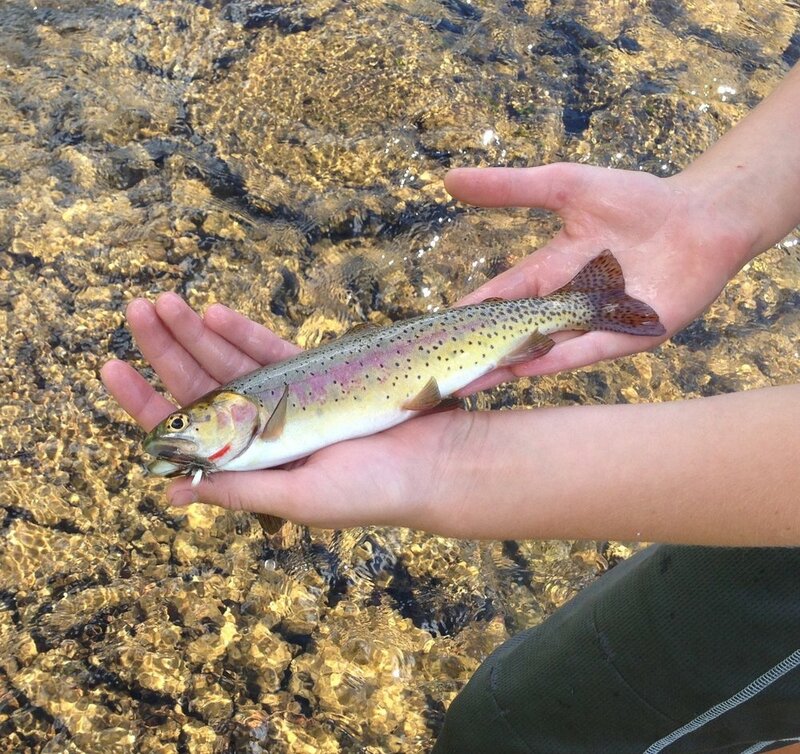 Spend a day with a Trapper fishing guide to learn the foundation for fly fishing or casting. 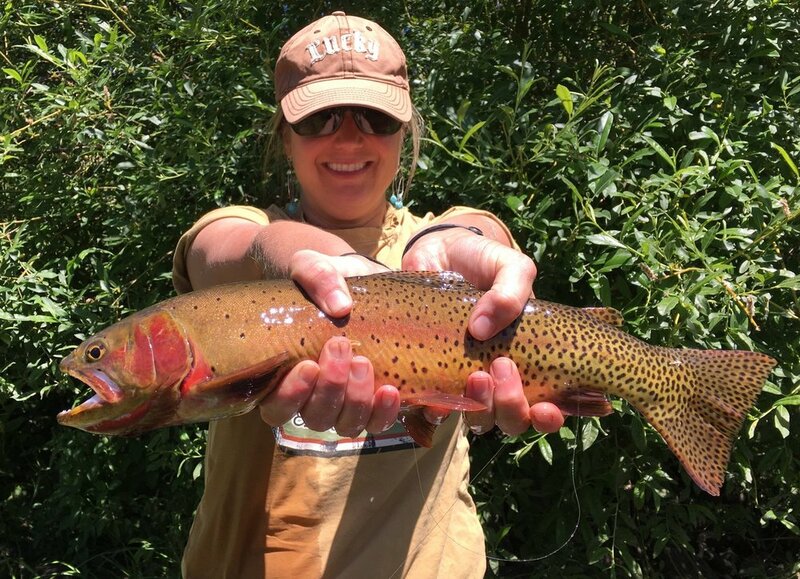 By the afternoon, you will be catching fish and have fallen in love with a new sport. ******2 week ADVANCED reservations required. 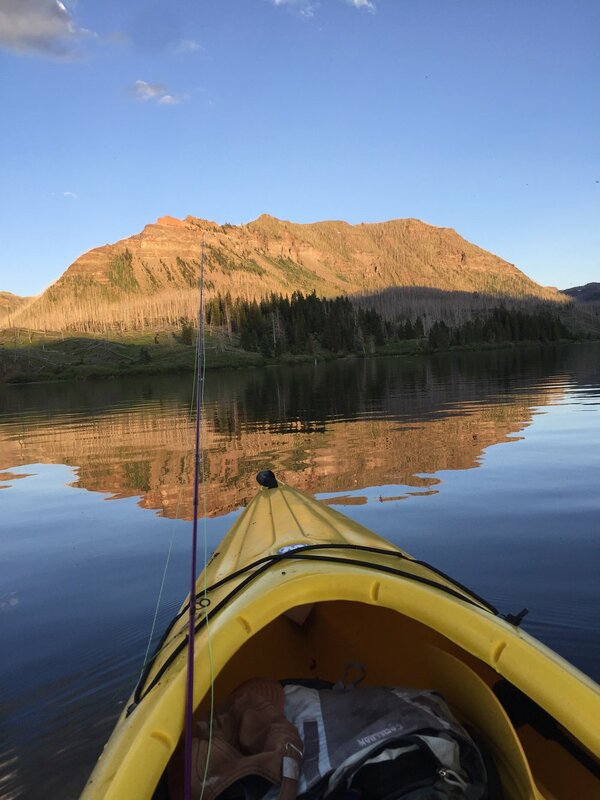 Take a horseback ride up to the Flat Tops for a fun day of fishing at one of the many alpine lakes. We furnish the guide, horses, and lunch. The cost is $275/per person. Two-person minimum. 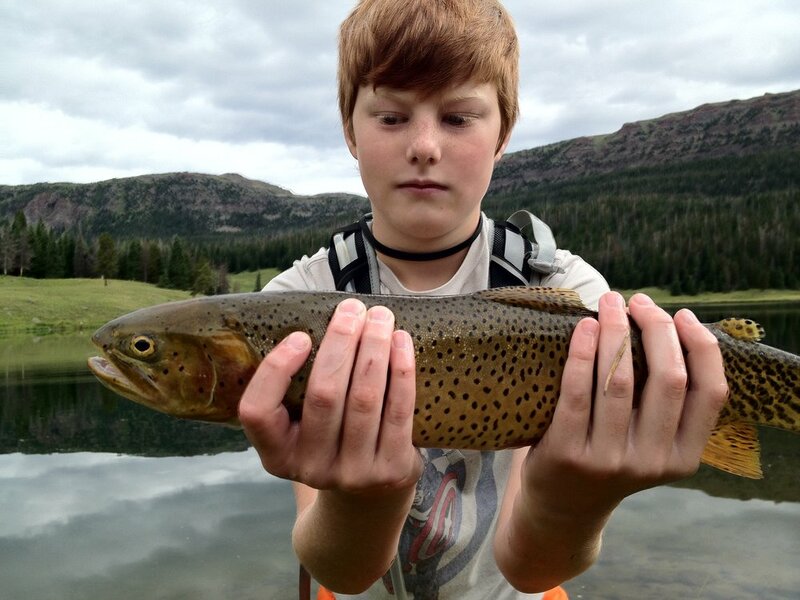 Plan your next fishing trips to one of our luxurious summer camps that nestle near a clear alpine lake. Enjoy a scenic, guided horseback ride to and from the camp. Whether you plan to fish, hike, boat on the lake , or just relax around a warm campfire, the breathtaking views and abundant wildlife will make it an unforgettable experience. A trained staff member will prepare meals and tend to the camp chores while you enjoy the mountains. Guests supply only their personal gear, fishing equipment, sleeping bag, sleeping pad, and a smile. Our summer camp is complete with wall tents, cook stove, cooking and eating utensils, tables, chairs, cots, lanterns, and use of our boat on the lake. Be our guest today! If privacy and sensational views are what you’re looking for, find a sanctuary at one of our scenic summer camps that nestle near a clear alpine lake. The comfortable camp is complete with wall tents, cook stove, cooking and eating utensils, tables, chairs, cots, lanterns, and use of our boat on the lake. You supply your food, personal gear, fishing gear, and sleeping bag and we’ll pack you and your gear in and return to pick you up on a prearranged date. Have your own camp gear and fishing location in mind, but want a break from toting it all up the trail? No problem!! Let us pack you and your gear to the location of your choice, drop you off, and return on a prearranged day to pack you out. You provide all camp gear, food, and personal supplies, We provide the horse power!